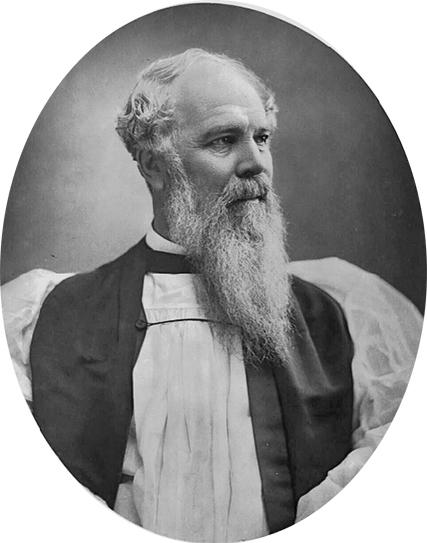 JOHN CHARLES RYLE, First Bishop of Liverpool, Church of England. Bishop John Charles Ryle wrote well over two hundred evangelical tracts, of which more than two million were circulated, and many were translated into foreign languages. Throughout his ministry he remained one of the strongest defenders of the evangelical reformed faith within the Church of England. His faithful witness to the Gospel of Christ needs to be heard more than ever today. The following tracts are classics of Gospel Truth that readers came to expect from all his writings. His tracts are “pure gold.” Some of them, not published since the 19th century, have come into my possession, and I offer you these inspiring works exactly word for word as they were published by Drummond’s Tract Depot, Stirling, Scotland, as well as other tracts taken from his classic 19th century books. J. C. RYLE Biography. J. C. Ryle, Prepared to Stand Alone, by Iain H. Murray. 2016AD. J. C. RYLE Autobiography. J. C. Ryle, Autobiography, by Andrew Atherstone. 2016AD. The 7 volumes of J. C. Ryle's “Expository Thoughts on the Gospels” were written between 1856 to 1873. They were reprinted in 1887 and again in 1896, and then by James Clarke in 1956, and a 7 volume paperback version was published in 1987 by BANNER OF TRUTH, who have now published a 7 volume clothbound version. 2. The Cross of Christ. (86k) pdf (104k) Helmingham Series small tracts. 5. Christ Crucified. (59k) pdf (110k) Helmingham Series small tracts. 13. The Royal Family (63k) pdf (112k) Helmingham Series small tracts. 14. We Must Be Holy. (91k) pdf (108k) Helmingham Series small tracts. 18. Free Salvation. (61k) pdf (108k) Helmingham Series small tracts. 26. Gospel Treasures (87k) pdf (66k) Helmingham Series small tracts. 27. Are You Ready? (83k) pdf (102k) Helmingham Series small tracts. 38. The Great Battle. (79k) pdf (73k) Helmingham Series small tracts. 51. The Power of the Holy Spirit. (83k) pdf (67k) Helmingham Series small tracts. 52. Calvary. (91k) pdf (76k) Helmingham Series small tracts. 53. Faith and Assurance. (90k) pdf (71k) Helmingham Series small tracts. 55. Hold Fast. (74k) pdf (79k) Helmingham Series small tracts. 56. Heaven. (76k) pdf (80k) Helmingham Series small tracts.